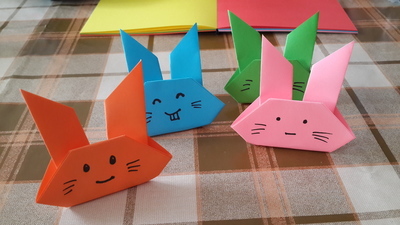 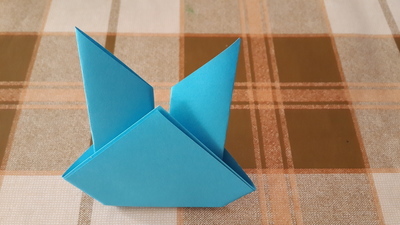 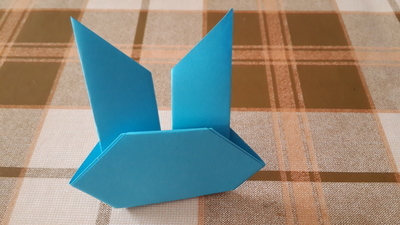 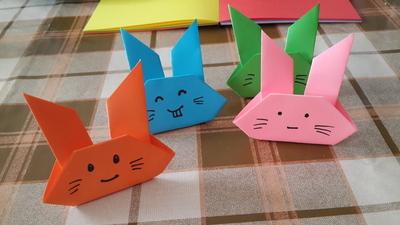 These bunnies are really easy and fun to make and can be placed on the dining table for Easter. 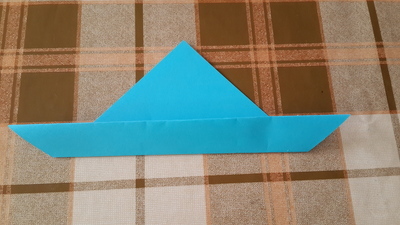 Make a small crease towards the pointed top. 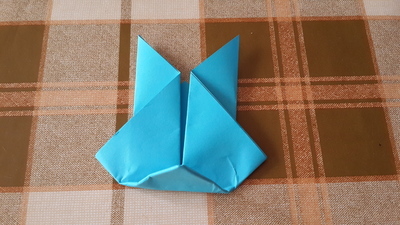 Fold both extremities towards the pointed centre. 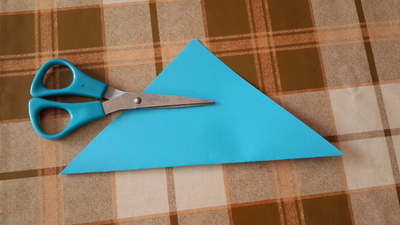 Make a crease off the bottom and turn over. 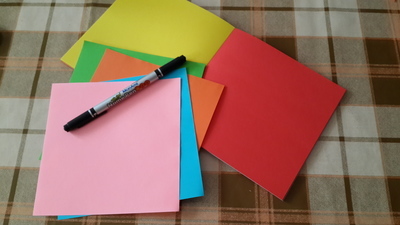 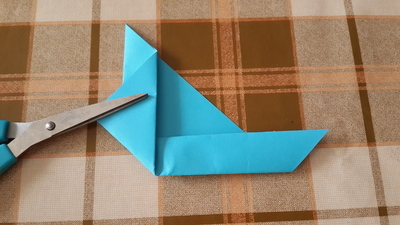 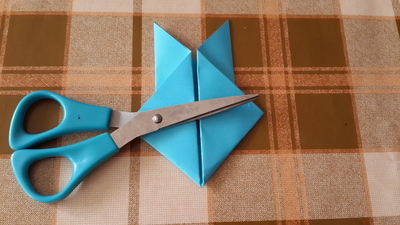 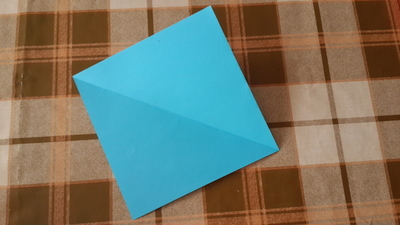 Fold the pointed triangle inside. 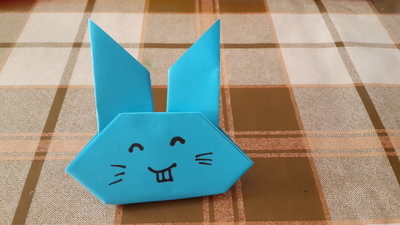 Draw the bunny's eyes, whiskers and mouth, and repeat to make plenty of bunny friends.